A main ingredient of curry powder, turmeric has been used in Indian and Chinese medicine for thousands of years to relieve conditions ranging from flatulence to menstrual irregularities. It is now recognised in the West as a powerful antioxidant and anti-inflammatory agent. The yellow-flowered turmeric plant is a member of the ginger family. It grows in Indonesia, China, India and other parts of the tropics, where the dried aromatic root-like stem is ground to form a powder. It contains yellow-coloured curcumin, the key active component and also an orange-coloured volatile oil. There are over 1500 references to the biological effects of turmeric in modern herbal medicine. Many of the effects are linked to the main active constituent, curcumin and this is considered to be the most biologically active component. In research terms, much has been published in the scientific literature on turmeric in the last few years alone and its popularity as a medicine is soaring. Turmeric has an anti-oxidant effect approximately equal to that of Vitamins C and E. This means that it provides powerful protection against the damage that can be done to the cells of the body by unstable oxygen molecules called free radicals. Turmeric, and especially its component curcumin, acts as an anti-inflammatory agent both when applied topically as a poultice and when used orally. Laboratory studies suggest that turmeric may have significant anti-carcinogenic properties. Animal studies indicate that it may lower blood cholesterol levels. Its anti-inflammatory and anti-oxidant properties, combined with its ability to increase the secretion of bile and the production of liver enzymes, explains its liver-protective effects against toxins. 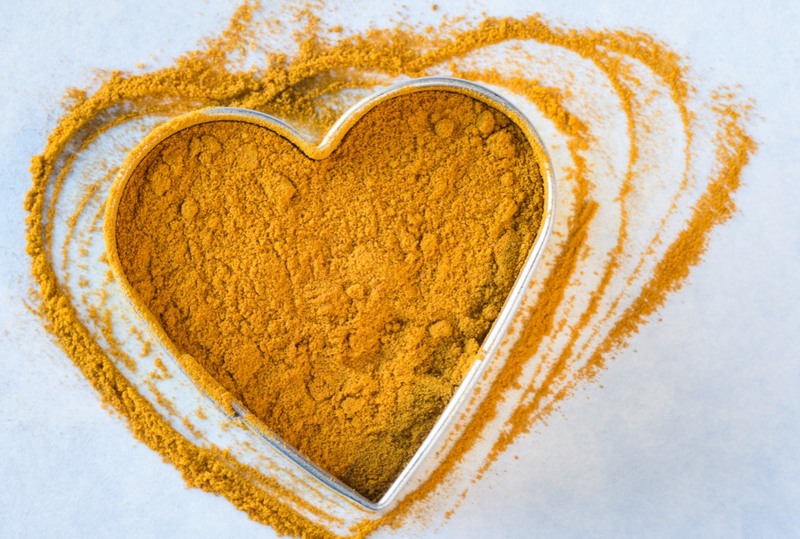 The first studies of the anti-inflammatory effects were investigated in the early 1970s and many of the specific effects of turmeric and curcumin have been linked back to this ability to reduce inflammation. The effects on the health of the joints are linked to the potent anti-inflammatory effects of this spice. Effects on the joints were first noted in 1980 and numerous studies have investigated this effect further. A study at the University of Arizona published in 2006 showed that an extract of turmeric inhibited joint inflammation and destruction. Again, many of the affects of turmeric on digestive health are linked to its anti-inflammatory effects. A study from the University of Reading in 2004 has demonstrated the ability of turmeric to reduce the pain/discomfort and other symptoms associated with IBS. Another study conducted in China has found that the use of turmeric in colitis made ulcers smaller and more superficial; improved body weight recovery; improved levels of anti-inflammatory compounds and decreased the expression of pro-inflammatory compounds. A double-blind, placebo controlled study has confirmed that curcumin is a promising and safe substance for ulcerative colitis. Dosage: The recommended dose tor turmeric is between 500mg and 1000mg if the dried standardised root extract (containing 95% curcuminoids) per day. Guidelines for use: Turmeric can be combined with the enzyme Bromelain to enhance the absorption. Possible side effects: Turmeric appears to be very safe in recommended doses. Turmeric enhances the release of bile in the liver so high doses of turmeric should not be taken by people with gallstones. 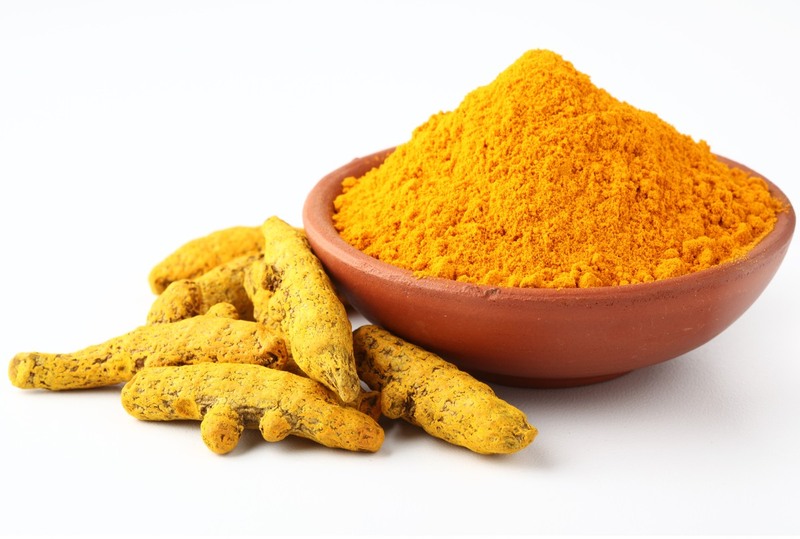 When you are buying a turmeric supplement ensure that it is a standardised root extract containing 95% curcuminoids. For example, Lamberts 10,000mg of turmeric spice (as 500mg root extract) providing 95% Curcumins £11.26 for 60 tablets. Get more Turmeric into your diet!